Authentic short crime drama set and filmed around North Glasgows rough housing schemes. A dangerous amd conniving drug suplier calls upon two experienced robbers to set an ambitious young dealer up for a fall. Dates yet to be set. Sound Recordist - Ideally With Equipment. 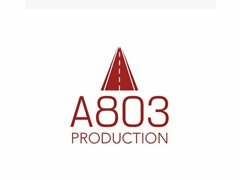 Sound Recordist required for on set recording dialogue etc. Ideally with equipment. Unfortunately unpaid but can cover expenses within reason(travel/food etc) and will possibly have further work in the future.